The Government of Peru is a major buyer of Coca Leaf in the Valley of the Apurimac-Ene-Mantaro Rivers, referred to in ever-charming government acronym style as “The VRAEM”. This Valley lies at the heart of the Andean mountain chain and could easily have been the model for Shangri-la. As it is, the Peruvian government, in league with the US Police State, has turned the Valley of the Apurimac-Ene-Mantaro Rivers into a war zone targeting peaceful Coca growers. Interestingly the Peruvian government is also a major buyer of the Valley’s Coca Leaf, but the government buyers are well-known as cheapskates. That’s probably because – officially – government buyers and selected foreign buyers like Coca Cola are supposed to be the only buyers in the valley. They figure they’re doing the Coca growers a favor. Of course, the Cocaine Cartels beg to differ with that, as do a substantial proportion of valley residents. And so there is no peace in the valley. The Peruvian government owns and controls the non-Cocaine use of Coca Leaf through a monopoly named ENACO. This state-run company produces the official line of Coca tonics, medicines drinks and snacks for domestic consumption. Peru’s politicians are in the Coca Leaf Remedios business because Coca Remedios are so deeply ingrained in Peruvian society that their use cannot be stopped – oh, and also because it’s a handy way to make some very nice revenue. Meanwhile, back in Coca Valley. At the same time that it low-balls the farmers’ Coca Leaf and makes cheesy Coca Leaf products, the Peruvian government wages war against any “extra” Coca growing by the people of Coca Valley. If they grow more than they are told to by the government, or if they refuse to sell to ENACO because of its ridiculous prices for their precious leaf, GOP burns and poisons their fields and makes their lives as miserable as possible. After all, their bottom-line motive is to satisfy the requirements of the US Police State that wants to be able to show the world that Peru is trying very, very hard to eradicate illicit Cocaine production. Very hard. But Aha! Peru has come up with a plan! GOP wants the people of Coca Valley to grow only enough Coca to satisfy the government’s requirements, and then to convert to growing crops like bananas and cocoa – assisted of course by friendly “experts” from the US and UN. Of course if you are a farmer in Coca Valley and your family has been growing Coca for generations and you don’t happen to like the chintzy prices the government is willing to pay, are you going to let the police rip out your Coca plants and make you start over with Bananas? Quite a few Coca Valley residents have not been pleased when approached by men with guns proposing this plan, and a few have gotten downright rowdy. Thrown rocks ‘n stuff. You know – terrorism. So to complete the farce the Peruvian government declared the VRAEM a war zone a few years back, it ever since has been battling against the quickly shrinking remains of the once-powerful Shining Path rebels – as of late 2015 SL is down to under 100 guerillas, mostly old men and teenagers. 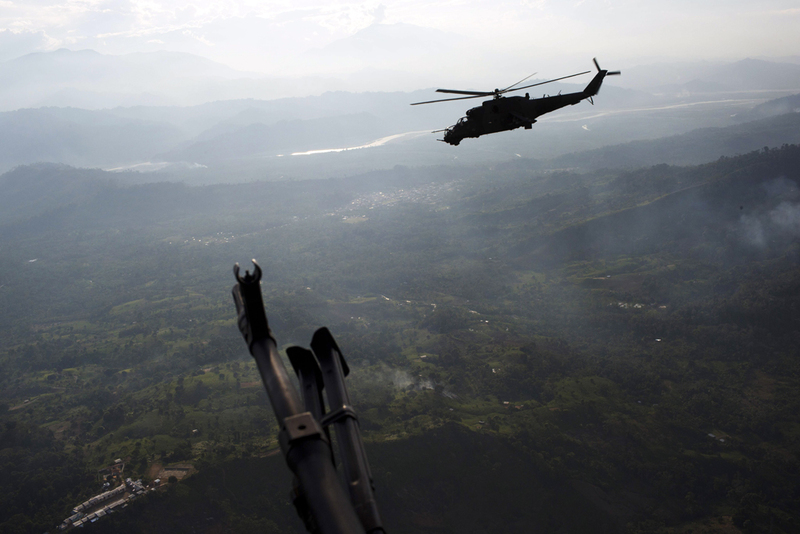 To go after this fearsome band the Peruvian government keeps sending in waves of troops, missiles and helicopters, while the US leaps in with space-based surveillance, military aircraft, dark ops and night raiders, chemical warfare assistance and high tech drones. All this firepower is arrayed against ragtag remnants of what was once a well-organized and very effective rebellion. These survivors fight on, using the vast forests and jungles of the Coca Valley, an area the size of Switzerland, to hide in. So this is the threat – a hundred tired rebels who are definitely at the end of their Shining Path. Can you imagine, a hundred guys getting together in the mountains almost anywhere else in the world and the central government spending $250 Million a year to try to get rid of the rebels and eradicate a few thousand hectares of croplands at the same time – and failing? OK, so the Peruvian government spends $256 Million of mostly US money a year to – what – combat terrorism and cocaine trafficking and deal with other related dangers to the children, like free speech? And the US is right there helping out with money, technology, guns and manpower, just like the US was when the Fujimori government, funded by US foreign aid money, forcibly sterilized hundreds of thousands of Indian women in the 1980s in so-called “population control” programs. Speaking of terrorism, let’s look at the terrorist activities of the Shining Path guerillas that are being used to justify all this government-initiated violence a little more closely. OK – there you are. That’s the Peruvian government’s 2014 body count in the US-sponsored War On Narco/Terror in Coca Valley. The totals include: 0 soldiers dead or wounded; 4 SL terrorists killed, 1 wounded; and 20 people including children rescued from slave labor for the Shining Path. And that’s after a full year of running around this valley the size of Switzerland with thousands of troops, helicopters, attack jets, tanks, HumVees, guns and rockets, and the latest ground, air & space-based surveillance technology courtesy of the US. All this technology and manpower chasing approximately 100 Shining Path guerillas (now minus 4) as they shake down Coca growers, take pot shots at soldiers, hide in the jungle, enslave the occasional villager, and make Coca Base to generate an income. So, now that we all know how well the “War On The Gang Of 100 Terrorists” is going – how about the “War On Coca Plants”? “Peru remained the world’s top potential producer of cocaine for the third consecutive year, and was the second-largest cultivator of coca, with an estimated 50,500 hectares (ha) of coca under cultivation in 2012, the most recent year for which data is available. The majority of cocaine produced in Peru is transported to South American countries for domestic consumption, or for onward shipment to Europe, East Asia, and Mexico via private and commercial aircraft, and land and maritime conveyances. Peru is a major importer of precursor chemicals used for cocaine production. Oops. It looks like even with hundreds of millions of dollars, armadas of military-scale technology, thousands of heavily armed soldiers and police, and humungous firepower applied year after year, you still can’t (or conveniently don’t want to) deal with 100 guerillas operating in an area the size of Switzerland, and at the same time in spite of this all-out War you also still have the distinction of being the world’s top potential producer of cocaine for the third consecutive year, and you were the second-largest cultivator of coca in 2014. This whole US-promoted War On Drugs/War On Terror thing really isn’t working for you is it? Respectfully, I have a suggestion to offer. Peru has a world-class renewable natural resource in the Coca plant and the people who have grown it for centuries. Why not go with what you have instead of playing a losing game in return for Yankee dollars? Why not just tell the US to go home, make peace with the Cartels and let them make and export all the Cocaine they want as long as they pay taxes, work with the indigenous people to build a Coca Leaf-based economy throughout the country, build a health industry based on Coca Leaf treatment at spas scattered throughout the mountains, and allow private enterprise to apply the entrepreneurial spirit to development and global sales of Coca-based medicines? Next, pay off Shining Path and let them go home for God’s sake – including those you are holding in prison. I imagine that $50-$100K per SL guerilla would do it – a total of $5-10 Million (one-time investment) to get the whole hundred of them to lay down their weapons, for which they receive amnesty and a piece of land to grow Coca. And the SL in prison who agree to go home and live peacefully ought to get the same deal. So Government of Peru, instead of spending hundreds of millions every year on a couple of wars that are going nowhere and aren’t even yours, plus terrorizing whole communities of your People, why not lead the world and declare that Coca is a gift from nature and that the Peruvian government will no longer stand in the way of those who wish to make their living by growing and making products from it – including Cocaine. What the rest of the world thinks shouldn’t matter. I mean, hey there, government of Peru – don’t you have better things to do than chase 100 members of the Gang Who Can’t Shoot Straight, a bunch of peaceful Coca growers, and gangs of very determined Cocaine makers? Didn’t that US-sponsored clown Fujimori bring down enough evil on Peru to make the government finally decide to work for rather than against the People? If everybody’s happy in Coca Valley who cares what the US thinks? It can happen. The US isn’t so tough anymore. Just ask your neighbors in Bolivia. Tags: Andes, Bolivian Coca, Coca, Coca Cola, coca leaf tea, Coca tonic, Coca wine, diabetes, ENACO, Heart disease, Inca, Mama Coca, medical uses of Coca, natural healing, Peru, War On Drugs | Permalink. 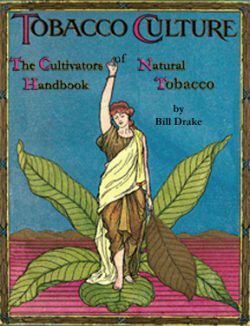 The scientific and medical literature of the 1800s gives us thousands of case studies primarily from Europe, Canada and the US, as well as somewhat limited published research, on the role of Coca Leaf preparations in treating and healing an impressive range of conditions and diseases. In these case studies Coca Leaf was almost always consumed by the patient as tea (hot water extract) or tonic (alcohol extract), which means that the initial site of almost all the recorded medical action of Coca Leaf on the body was the human gut. The same has been true for hundreds of generations in the Andes – they chew Coca first to bathe their gut with the healing, balancing juices, and from there the healing influences radiate throughout their muscular, endocrine and nervous systems. So according to the historical evidence, the healing action of Coca Leaf appears to be centered in the gut. We now know that it is the health and balance of an individual’s gut microbiome that determines their overall state of health. We know that when that balance is upset gut diseases occur, and we increasingly understand how metabolic and neurological diseases are linked to disturbances of the gut microbiome. Human adults carry about six pounds of bacteria in our gut, and in this mass of living organisms there are literally tens of thousands of species – most of them still unidentified. However we do know the major players in the human gut, and increasingly we are finding out that changes in the populations of these major players, plus blooms of pathogenic players like klebsiella and c. dificil, seem increasingly likely to be causing serious human illness. So it may not be making too much of a speculative leap to say that it is likely that one of the important things that 19th Century science is telling us is that Coca Leaf helps to maintain, and works to restore a healthy gut microbiome, although of course those 19th Century doctors knew nothing of the gut microbiome. But they did know that Coca Leaf preparations worked on a wide range of diseases – better than almost anything else in their apothecary. 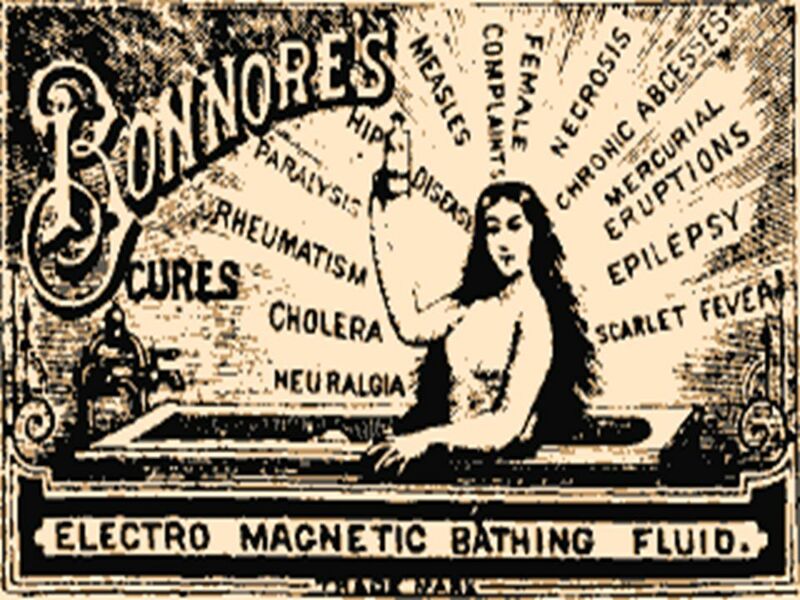 It certainly wouldn’t take a major research project to confirm or to disprove what I believe the 19th Century medical literature so clearly suggests. As part of the work I’m doing in trying to find funding for “Centros de Coca Curación” I intend to include funding for research studies in this and related areas, engaging reputable degreed scientific and medical researchers in Peru, Bolivia and any other country where they would be free to conduct their work and publish the results. Readers of this blog know that in past posts I have engaged in a lot of speculation on the modern implications what 19th Century science knew about the healing properties of pure, natural Coca Leaf. I believe that the richness of the human experience recorded in those days by people of science and medicine can guide us today, lost as we are in the machinations of the pharmaceutical and allopathic medical “industries”. Isn’t it time to begin demanding that legislators in states that have legalized Medical Cannabis now move to legalize first the import of fresh Coca Leaf and Coca Medicines and also to legalize cultivation of Coca Leaf in the United States for general consumption as well as medical purposes? Tags: Andes, celiac disease, Centros de Coca Curacion, Coca leaf, coca leaf tea, Coca Leaf tonic, Coca tonic, Coca wine, Cocaine, Congestive Heart Failure, Crohn’s, diabetes, herbal medicine, Inca, Mate de Coca, medical uses of Coca, natural healing, natural medicine, Peru | Permalink. Were All These People Insane, Or Are We Missing Something Important? Angelo Mariani was without doubt the most successful, and probably the most ethical of all of the 19th Century manufacturers of Coca Leaf-based tonics. 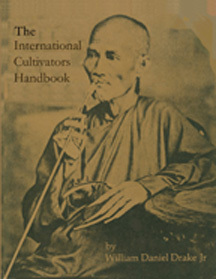 Unlike most other manufacturers, of which there were hundreds in Europe and the US, he practiced strict quality control, even to the point of developing proprietary Coca plantations in Peru and Bolivia where Coca Leaf was grown, harvested, processed and shipped to Europe under carefully controlled conditions. In contrast most other tonic manufacturers used cheap, dried-out Coca Leaf scrap that was the reject of Coca harvests in Peru and Bolivia – literally the scrapings from the Coca Leaf processing floors in those countries. And reminiscent of the Cocaine trade today these unscrupulous manufacturers didn’t hesitate to adulterate their products with whatever cheap crap they thought they could get away with to bulk out their products. In addition, the Bordeaux wine that he used as the base and Coca solvent for his tonic was sourced from several prominent French chateau producers, whereas other manufacturers who tried to copy Mariani’s success used the cheapest red swill they could obtain. Again, exactly the kind of behavior we see in 99% of today’s Cocaine (and Heroin) markets. 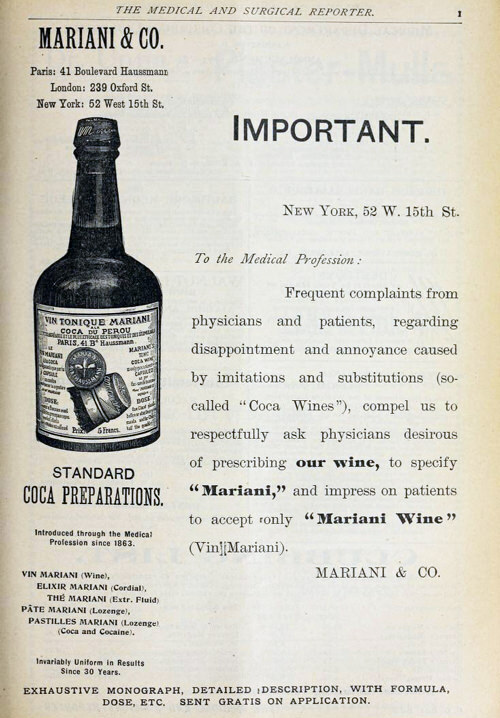 As a result Mariani’s tonic delivered the same quality medication to patients from one bottle to the next, and it was also pleasant-tasting, and because of these qualities it remained the premium Coca Leaf tonic on the market for decades both in Europe and North America. Mariani’s attention to detail, and his energetic marketing, primarily through the publication of testimonials from prominent users of his products worldwide, were responsible for his life-long success and should be studied carefully by entrepreneurs in the Medical Marijuana space today. 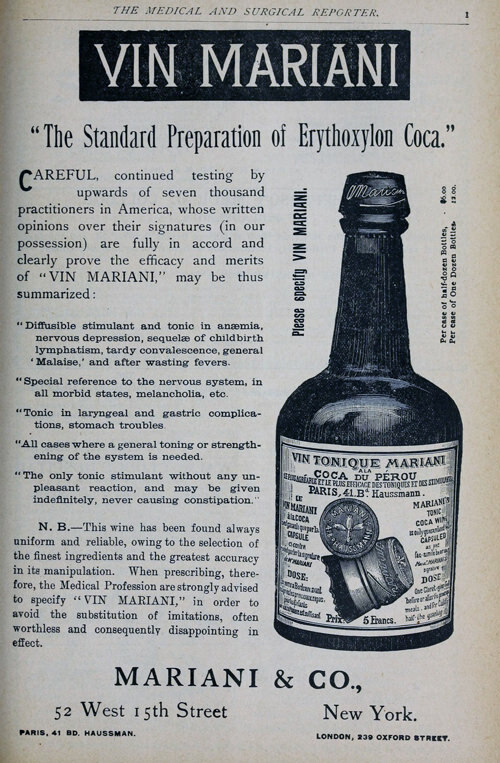 In this post you’ll get a sense of how doctors and patients of the late 19th Century viewed Vin Mariani tonic. As you read through these excerpts from their correspondence to Mariani you have to ask yourself – were all these people simply idiots, or were they competent physicians and completely sane patients? It follows that if they were neither insane nor idiots, then perhaps the insane idiots are those who stand in the way of sick people having access to pure, natural Coca Leaf remedies today. One of my patients, Lady Superior of a convent in the environs of Paris, affected with a profound anemia, which has resisted all treatment, and which, by the long use of iron and quinine, had become complicated with constipation and gastric disturbance, was relieved of the latter symptoms after twenty days’ treatment with Vin Mariani, and under the influence of this same medicine her anemia gradually lessened, and in the course of three months disappeared. A Bordeaux-glass full of this wine has always sufficed to make me forget hunger and to sustain my strength. I felt a slight warmth and general toning up of the body; the digestion of the meal which followed was always more easy than when I had not taken the Mariani Wine, and, although I had not a sensation of voracious hunger as I had without it, I ate very well, the stomach appearing more robust and more active. La Porta, February 15, 1877. Having had such splendid results in my practice with the Vin Mariani since a number of years, I counsel you to have your vrine tried in London and New York, for I am persuaded that in all the great centres, where tlio incessant occupation and the abnormal kind of life led there fatally engender anemia, Vin Mariani is able to render the greatest services. Member of The Academie de Médicine, formerly Chief Physician of Napoleon III. , Emperor of the French, Grand Officer of the Legion of Honor. Since some time I prescribe to my patients Vin Mariani, and, in the cases of gastric trouble and anemia, I have had nothing but praise for the results obtained. M. Mariani, Paris : London. “Ne pigeat ex plebeis sciseltari si quid ad curationem utile,” said Hippocrates (in prœceptis), that is to say, let us not disdain popular remedies. It was with eagerness that I welcomed in my practice the Vin Mariani, based upon Peruvian Coca, a plant so popularly used in its native place. I have proved the efficacy of your preparation, which is at the same time useful and agreeable, in cases of nervous over-excitation with sleeplessness, of uni-lateral headaches, in throat diseases accompanied with pain, in spasms of the stomach with intense thirst, and sometimes in bilious vomiting. By re-establishing the digestive functions, Vin Mariani restores the general strength of the organism, and becomes a tonic without having the inconvenience of other medicaments, called tonics, which produce constipation. As the first of all therapeutical rules is, for me, the one well known since Hippocrates, which has been newly brought forward in our days by Hahnemann, under the formula — Similia similibus curantur, I think that the efficacy of Coca, in the affections I have just enumerated, is due to the application of the homœopathic law; and the well-known fact, that the natives deceive their hunger and; calm the cravings of their stomach by chewing and swallowing a substance which habitually increases the appetite, is a confirmation of my idea. New York, August 16, 1884. I have prescribed the Mariani Wine extensively during the last year, and with very favorable results. Its tonic and stimulant properties are very marked, particularly as manifested in its action on the nervous and muscular systems. It is well borne by even delicate stomachs. In my experience the weaker and more delicate the subject, the more pronounced its action and the more permanent its effects. While not a universal panacea for all the ills of life, it is a very valuable therapeutic agent, and certainly possesses most of the properties claimed for it. 161 E. 31st Street, New York. New York, February 5, 1884. Fayetteville, N. C, February 21, 1884. Dear Sirs : — I find Vin Mariani a most excellent – in fact, an indispensable – remedy in nervous debility. A patient of mine, a constant sufferer in this way, experiences immediate and absolute relief by the use of Mariani’s Wine, while nothing else affords him the least comfort. Your preparation of the diug cannot be too highly recommended. Yours truly, H. W. LILLY, M.D. 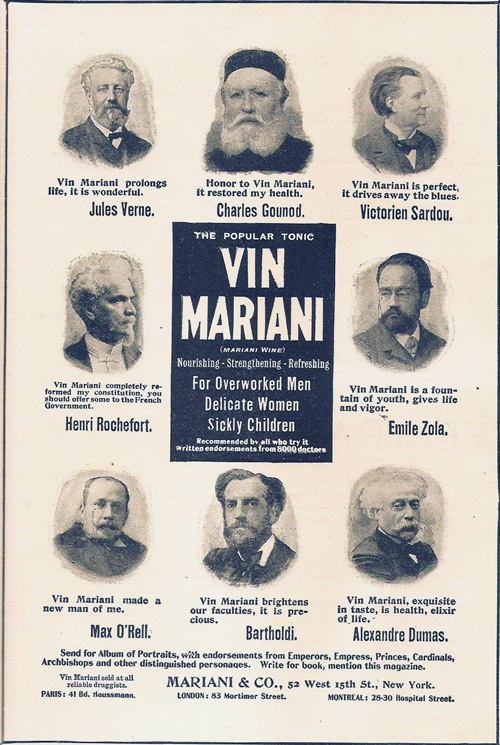 At the special recommendation of Dr. Lennox Browne, of London, I have tested carefully the Vin Mariani, and I recognize that its splendid effect upon the voice is extremely satisfactory, and almost instantaneous. For over two years I have tried it, ordering it to my pupils, both ladies and gentlemen, whom I had under my care for the development of the voice, and I have invariably remarked that, whenever they had any difficulty in singing or elocution, the Vin Mariani enabled them to continue the lesson, •which, without it, would have been utterly impossible. I have thus every reason to be glad that my attention was called to this remarkable preparation, and am convinced that all artists and orators will welcome it and be happy to adopt it. 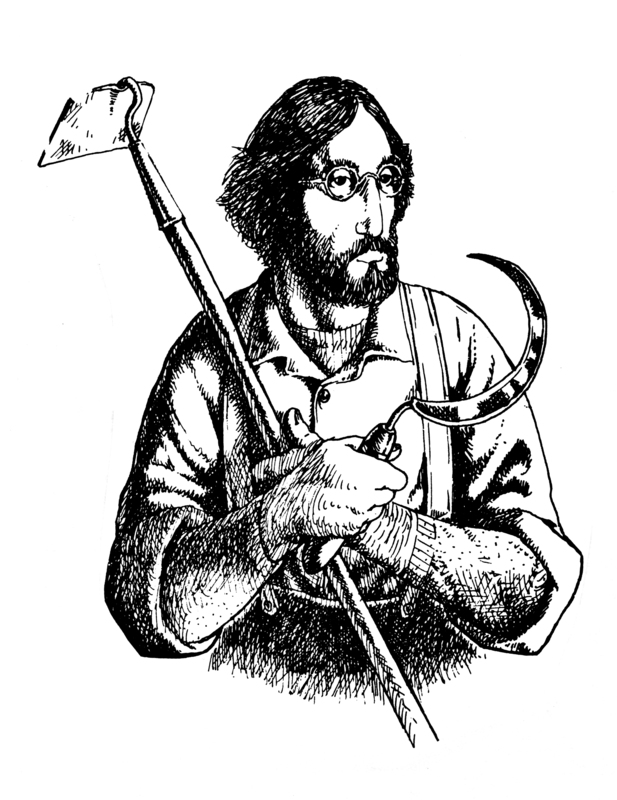 Your obedient servant, R. H. PERCY HUTCHINSON. My Dear Sir: – Well ! yes; know it, and let me write it to you, though I have frequently told it you. Your Vin Mariani is indeed excellent, and equalled by nothing. I drink it, I absorb it, and so also does my family, and we are all deriving so much good from it that I shall never be without it. On my voice it acts like a charm. My friends and brother artists, to whom I have recommended it, drink it regularly and likewise speak in highest terms of the Vin Mariani, and I can only say I advise all artists to give it an experiment, and guarantee they will adopt its use and thank you for it, as I do with all my heart . Dear M. Mariani : Paris, November 12, 1881. “Your wine indeed has again saved me! Upon my arrival at the opera and just before the commencement, when I was to sing, I found I had got a severe attack of aphonia, which has disappeared as if by enchantment after I had taken slowly a glassful of your wonderful Vin Mariani. It is to be hoped that all singers will become aware of and utilize the excellent properties of your preparation. I have tried everything, and never have found anything like it. If the government understood all its duties, it would provide a certain quantity daily for the use of our corps of lyric artists— at all events for all the pupils pf the Conservatory of Music. MR. & MRS. W. J. FLORENCE. New York, December 10, 1883. Yours faithfully, GIUSEPPE DEL PUENTE. Very sincerely yours, HENRIETTA BEEBE. New York, July 16, 1884. Most respectfully yours, MARG. BOULIGNY. Messrs. Maeiani & Co., New York, December 16, 1883. Gentlemen : — I have used your wine during several years, and have found it excellent. I am well satisfied with it, and cheerfully authorize you to use my name. Very respectfully, E. FURSCH MADI. Mariani & Co., Mystic Bridge, Ct., August 12, 1884. Deae Sirs :— I have taken your Wine of Coca since July 24th, as directed by my physician. I am pleased to write you that I have been greatly benefited by it. My lungs are better, and my general health is in every way improving. I can safely recommend it to my friends as the best tonic I have ever taken. My home physician is so much pleased with the effect of the wine upon me that he has already sent to you for a dozen bottles. Respectfully yours, FANNIE S. WILLIAMS. Mariani & Co., N. Y. City, February 25, 1884. Gentlemen: – For several years I have been using various preparations of Coca, and within the last few months, having had my attention called to your Vin Tonique Mariani, have been using it. I think it by far superior to any that I have yet seen, and I have derived great benefit from its use. Judging it from my own experience, I can and do most heartily recommend it. Mariani & Co., N. Y., August 25, 1884. Gentlemen: — It affords me great satisfaction to give you the result of my personal experience in the use of Vin Mariani. For the past three years I have, under the direction of my physician, relied upon it in serious emergencies of illness and overwork. It sustains vitality in conditions of extreme exhaustion, and restores strength more quickly than any other tonic I have used, never causing the least unpleasant reaction. I have tested it during long journeys, under the pressure of continued physical and mental strain, and have found it unfailing in its good effects. Frequently, when in travelling I have been unable to obtain my regular food, a small quantity of Vin Mariani has afforded me satisfactory nourishment. I am so convinced of its beneficial nature, that I have induced many of my friends to use it, and their experience coincides with mine. M. Mariani, Paris : New Yoek, August 29, 1884. I have for the last eight or ten years often recommended the Vin Mariani to patients laboring under abnormal conditions of the system, re- quiring a mild tonic and stimulating influence, with marked and excellent results. For convalescents, also, I consider it a very useful remedial agent. Mr.. A. Mariani, Paris, October 19, 1880. Dear Sir : — As a rule I object to having my name used as recommending any special preparation of a drug, for this very easily and frequently leads to abuse; but I am willing to make an exception in your case, and to express at your desire, in writing, my opinion of your Wine of Coca – an opinion with which you are personally well acquainted. Since my attention has been called to the good effects of your wine by Drs. 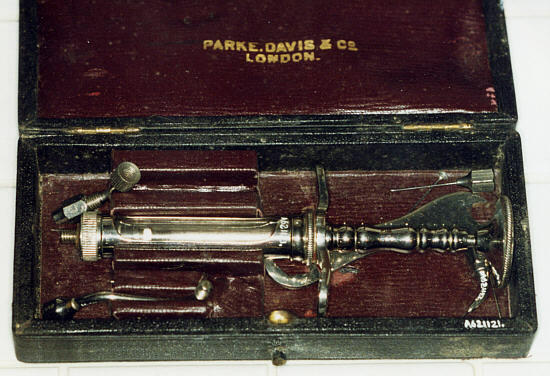 Morell Mackenzie and Lennox Browne, of London, I have tried it myself, and have observed its use by Dr. Fauvel, in his clinique and in his private practice. There can be no doubt that, properly used, it is an excellent general tonic; that it has a special beneficial action upon the digestive and respiratory organs, and that, by its stimulation of the nervo-muscular system, it enables persons to undergo physical exertions to which, without it, they would at the time not be equal, and seemingly – certainly so far as I have been able to discover – without consequent reaction of over-fatigue. The latter effect I have particularly observed, as to vocal efforts, in the cases of speakers and singers. DR. LOUIS ELSBERG, Of New York. 19 Harley Street, Cavendish Square, W.
Gentlemen: – I have much pleasure in stating that I have used the Vin Mariani for many years, and consider it a valuable stimulant, particularly serviceable in the case of vocalists. Consulting Physician to the Hospital for Diseases of the Throat; late Physician to the London Hospital. Dear Sirs : — I have used your Vin Mariani for the past three years, and have much pleasure in testifying to its many excellent qualities, combining as it does the well known constitutional effects of Cocaine with that of a mild stimulant exhibited in an acceptable form. Among the conditions in which I have found it of valuable service, I may mention in the debility occurring after prolonged illness – in Oedema of the Larynx accompanying albuminuria, in the slow convalescence after diphtheria, and especially in Graves’ disease, in which latter it not only acts as a cardiac sedative, but also diminishes the accompanying exophthalmos and laryngeal congestion. Professor in Laryngology, McGill University, and Laryngologist and Rhinologist to Montreal General Hospital. Saratoga Springs, July 20, 1885. Gentlemen : — I have used the Vin Mariani in my practice quite largely for the last four years with most excellent results, and I consider it greatly superior to any other preparation in the market. 341 5th Avenue, New York. New York, August 28th, 1883. Gentlemen : — I have been acquainted with Mariani Wine for a considerable time, and have had occasion to recommend it frequently. I deem it a most excellent adjuvant in the class of cases to which it is recommended, and I hope in the future to still further demonstrate its usefulness. Utica, New York, July 17th, 1885. My Dear Sirs : — I have used the Vin Mariani in many cases, and have had considerable experience with it. In my opinion it is the best preparation of Coca attainable, and can be relied upon in many conditions of debility and feeble heart action when this valuable drug is called for. Messrs. Mariani & Co.: – Enclosed please find amount for two cases Vin Mariani, which please send by Adams’ Express. I use it in my own family. I have been more than pleased with its action, and consider it far ahead of any other preparation of coca, be they wines, fluid extracts, or elixirs. I have tried in my practice no less than six different preparations. Gentlemen : — Your Vin Mariani is giving excellent results. I am well pleased with its effects. C. P. COOK, M.D., Health Officer. New York, June 24th, 1885. Dear Sirs: — Permit me to say that I am, and have been for years past, using your preparations of Coca, and that I fully endorse all the views that I formerly expressed about them. They are the only preparations of Coca from which I can obtain any medicinal results, and necessarily I use them exclusively, and consider your wine superior to any other makes. Many thanks are due you for your excellent preparations, and I trust others will obtain as good results from them. H. P. BRISBANE, M.D., Health Ofiicer. Boston, Mass., October 3rd, 1885. Dear Sirs: – My first acquaintance with the use of Vin Mariani was made in Paris, France, in the summer of 1880, when my attention was called to it by Dr. J, Marion Sims, who recommended it as a superior tonic for nervous prostration. 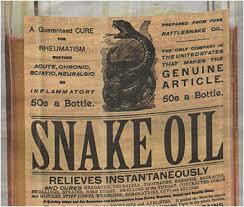 I have continued to use it and prescribe it ever since with entire satisfaction. I prescribe your Elixir Mariani as a brain food, and as a stimulant to the nervo-muscular system it gives immediate and lasting effect. I also have used your “Thé Mariani” in sweetened milk, and think it excel- lent. I am so convinced of the beneficial effect of these preparations that I hardly know how I could practice without them in such cases. A. W. K. NEWTON, M.D. Brooklyn, New York, June 23rd, 1885. Gentlemen: – As regards your preparations of Coca, it gives me pleasure to say that at the present time I can obtain none which is so satisfactory as your Vin Mariani and your Thé. I have always found same uniformly excellent and reliable. My opinion of the value of Coca in general is so well known that I need not express it. New York, October 3rd, 1885. Gentlemen: – I have frequently prescribed your Vin Mariani, and am familiar with its merits. I have, however, never seen any of your other preparations of Coca, and would be indebted to you for samples you so kindly offered. If they are up to the standard of your wine, you deserve to reap great rewards for devising and introducing them. New York, September 14th, 1883. Dear Sirs: – I have used your Vin Mariani with decided benefits. Of the many preparations of Coca I find the Mariani wine the best, and I have tried many of the others. It produces an immediate tonic effect, and the improvement is lasting. I have ordered it for many of my patients, and it has not disappointed me. Augusta, Ga., January 13th, 1885. Gentlemen: — I have been prescribing your Vin Mariaiii for some time, and with entire satisfaction. I am just recovering from an attack of diphtheria, which 1 contracted from a patient, and on account of my extreme debility I took your wine and have finished the fourth bottle, and can say I am a new creature since I commenced it, and certainly shall continue taking it for some time. Without doubt it is the greatest tonic ever made, and I am prescribing it every day. Yonkers, New York, May 6, 1884. Dear Sirs : — When in Paris I heard of the Vin Mariani, and the good results from using the same, particularly in the treatment of certain obscure nervous diseases. Since my return home I have advised in quite a number of these nervous cases the taking of the Vin Mariani, and with most favorable results. Am pleased to say that the Vin Mariani continues its reputation, and is growing in favor. Amherst, N. H., November 12th, 1884. Gentlemen: – I had occasion many times to use the Vin Mariani in my practice, and found it the most elegant and efficacious preparation of Coca. It entirely covers and conceals the rather disagreeable taste of the drug, and in my estimation the wine itself is a most happy adjunct to the Coca, in that the alcohol therein contained quickens the absorption of it into the circulation, and, with the essential ether of the wine, adds to the strength-giving properties of the Coca. I consider that the Vin Mariani has saved my wife from sickness, which would have resulted from the breaking down of her nervous system. I have every reason to congratulate myself on the marked effect which the Vin Mariani has upon her. I am glad to recommend it as a superior preparation. We received several months ago a supply of the justly celebrated Vin Mariani, with the request that we use it personally for the relief of headache – which is the bane of our life. This wine has for its active ingredient a concentrated extract of the leaves of Erythroxylon Coca – the plant from which the new anӕsthetic is obtained. Each wine-glassful contains the equivalent of about 30 grains of the leaves. Although we have used the Vin only when we felt the attack coming on, it has uniformly aborted the attack promptly and thoroughly. We have used it with others, and with essentially the same success. We have also prescribed it as a tonic in dyspepsia and nervous prostration, and with excellent results.”— J. F. Baldwin, M.D., Editor. Tags: Angelo Mariani, Coca, coca leaf medicines, Coca tonic, Coca wine, Cocaine myths, herbal medicine, Mariani, Mate de Coca, natural Coca Leaf medicines, natural healing, therapeutic uses of Coca, Vin Mariani, War On Drugs | Permalink. Although I’ve tried to illustrate this point many times in this blog, it is so critical to overcoming decades of government propaganda that it bears repeated emphasis. In this case I’m offering the abstracts of two key articles published decades ago, but still well within the scope of contemporary science. Those who follow Natural Medicine research will no doubt recognize the author of these two articles as the incomparable Dr. Andy Weil. The medicinal, healing properties of Coca Leaf do not lie in the Cocaine alkaloid – it is the whole, natural leaf that was the great gift of Mama Coca to her people and through them to the world. This leaf is the loving gift of the Spirit of Coca to those in the world who have the openness of mind to pull aside the deliberately woven veils of illusion that have been put in place to keep her hidden from the tens of millions of people who suffer and die unnecessarily from diseases that this profoundly powerful natural medicine could help to cure. American Journal of Drug and Alcohol Abuse 1978;5(1):75-86. South American Indians have used coca leaf as a remedy for thousands of years. Coca might be useful as a treatment for gastrointestinal ailments and motion sickness, as a fast-acting antidepressant medication, as a substitute stimulant for coffee in certain cases, and as an adjunct in programs of weight reduction and physical fitness. In leaf form, coca does not produce toxicity or dependence. Its effects are distinct from those of cocaine, which is but one of a number of active compounds in the leaf. Coca can be administered as a chewing gum containing a whole extract of the leaf, including alkaloids, natural flavors, and several nutrients. Legal mechanisms exist for importing, distributing, and dispensing coca, and experimentation with it by interested physicians would be valuable. Journal of Ethnopharmacology 1981 Mar-May;3(2-3):367-76. 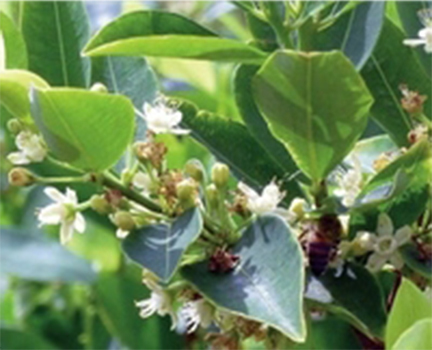 Coca appears to be a useful treatment for various gastrointestinal ailments, motion sickness, and laryngeal fatigue. It can be an adjunct in programs of weight reduction and physical fitness and may be a fast-acting antidepressant. It is of value in treating dependence on stronger stimulants. Coca regulates carbohydrate metabolism in a unique way and may provide a new therapeutic approach to hypoglycemia and diabetes mellitus. With low-dose, chronic administration it appears to normalize body functions. In leaf form coca does not produce toxicity or dependence. 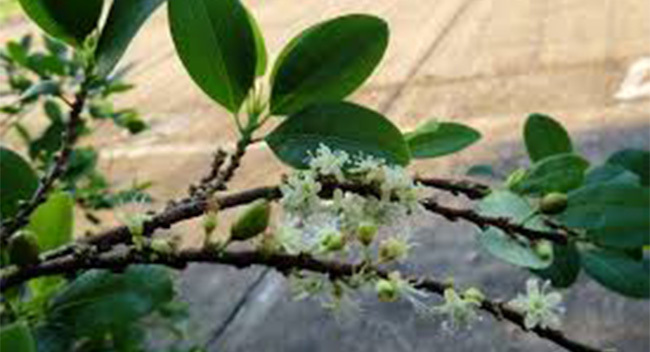 Coca can be administered as a chewing gum or lozenge containing a whole extract of the leaf, including alkaloids, natural flavors, and nutrients. Tags: Andrew Weil, CFS, Chronic Fatigue Syndrome, Coca leaf, Coca Leaf tonic, Coca wine, herbal medicine, ME/CFS, natural healing, Obesity | Permalink. Editor’s Note: Angelo Mariani was the most celebrated producer of Coca Leaf-based medicines in the 19th Century. The following passage from Dr. Mortimer’s “History of Coca”, which can be found in its entirety in my sourcebook “The Coca Leaf Papers” explains why Mariani was celebrated throughout the Western world for the quality of his creations. It has been said that a man is created for some especial work, and this seems happily applied in the present instance. Angelo Mariani was born in Bastia, the largest city of Corsica, where a foundation for scientific training through an ancestry of physicians and chemists preceded him. But better than ancestry is the work that a man does which shall live after him. Reared in an atmosphere where chemical possibilities were daily thoughts – while united with these was a love for books, and allied art and antiquities – it seemed but natural that he should experiment on the then much talked of Coca of the Incas, an ideal of endurance, interest in which the tales of travelers and scientists from Cieza to Mantegazza had only intensified. The problem of the elixir of life, so baffling to philosophers since long before the days of Hermes Trismegistus, which many now believed was pent up in Coca – seemed capable of as definite solution as is possible through human intervention. Commencing investigation with the unmistakable evidence regarding the properties of Coca, it was sought to present these in a positive and available form, which fluid and solid extracts, or the volatile herb, had not uniformly preserved. Experimentation led to combining several varieties of leaf, setting aside those which contained chiefly the bitter principle – since known to be cocaine – and selecting those which contained the aromatic alkaloids. An extract of these blended leaves embodied in a wholesome wine, was found to represent the peculiar virtue of Coca as so much prized by the native users. There is no secret other than method claimed in the process which has made the name of its inventor synonymous with that of Coca, though I heard an anecdote related of this gentleman – who personally scrutinizes every detail of manufacture, that “after everything else is done he goes around and drops something else in.” Whether this be so or not, it is certain that the preparations of Coca manufactured by Mariani are entirely different in aroma and action from other Coca preparations which I have examined. These latter have not the agreeable flavor of Coca, but the fluid extracts are usually bitter and the wines have a peculiar birch-like taste comparable with the smell of an imitation Russia leather. That this “musty cellar flavor,” as it is technically termed, is due to the quality of Coca leaf was evidenced by a preparation of wine made for me in Paris in the fall of 1898, from choice leaves direct from the Caravaya district, which, however, were rich in cocaine. It seems appropriate in a history of Coca that I should say something of the personality of one whose life work has been devoted to rendering the “divine herb” popular. It may be said that Coca is the hobby of Mariani. It is his recreation, his relaxation and constant source of pleasure, wholly removed from sordid commercial interests. At Neuilly, on the Seine, Paris, France, where his laboratory is located, his study is tastefully arranged with rich tapestries and carvings, in which the exquisite designs possible from conventionalizing the Coca leaf and flower are so artistically used as the motif of decoration that they are not obtrusive but must be pointed out in order to be recognized. Here he has extensive conservatories, which are filled with thousands of Coca plants of various species, among which he takes the greatest delight in experimenting upon peculiarities of growth and cultivation. From this collection specimen plants have been freely distributed to botanical gardens in all parts of the world. As I had difficulty in preserving appropriate examples of the Peruvian shrub for my study, ten choice Coca plants were sent to me from Neuilly, and these, for proper care and preservation, I presented to the New York Botanical Garden, while still being permitted to continue my experiments upon them. In addition to this courtesy, I have been the recipient of numerous favors from M. Mariani, who has generously accorded me details upon the subject of research not readily obtainable elsewhere, and who literally extended the resources of his vast establishment to the furtherance of my investigation. Aside from papers in current journals Mariani wrote a monograph upon Coca and its therapeutic application, a translation of which by Mr. J. N. Jaros, of this city, has been the most available authority for the English reader. I am convinced no more happy realization can occur to this savant than the knowledge that his efforts to render Coca popular and available have met with a spontaneous approval from representative personages in various parts of the world. Entirely aside from any personal interest, a voluminous testimony has literally showered in from those whose motive and sincerity must be accepted as an unquestionable regard for recognized merit. Eminent artists and sculptors have painted and chiseled some dainty examples which serve to typify their esteem for a modem elixir vitae. Roty, President of the Academie des Beaux Arts, and probably the most eminent living medalist, has executed a presentation medal of appreciation. Famous musical composers, such as Gounod, Faure, Ambrose Thomas, Massenet, and many others have sung their hosannas in unique bars of manuscript melody. Poets and writers without number have versed the qualities of the Coca leaf and the present happy idealization of its powers. Royalty has set upon it the meritorious seal of patronage, and the modern Church, more liberal than its edicts of long ago, has welcomed its use. 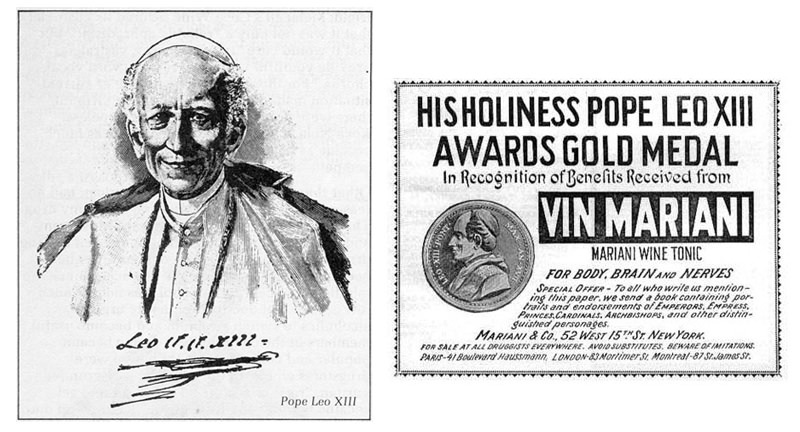 Only recently Pope Leo XIII sent a golden medal of his ecclesiastical approval, for it is said that for years His Holiness has been supported in his ascetic retirement by a preparation of Mariani’s Coca, of which a flask constantly worn is, like the widow’s cruse, never empty. So numerous have been these expressions from eminent characters of the day, that it has been possible to compile from them a cyclopedia of contemporary biography which has already reached several large octavo volumes. A brief outline of each notable is given, with an etched portrait, and often accompanied by a sketch showing some known forte of the individual. Where these are artists their impromptu illustrations display a happy humor associated with their characteristic touch. The resultant compilations, exquisitely printed and bound as an edition deluxe, are much sought by bibliophiles. A short time since, while the Princess of Battenberg was on a visit at Nice, she was presented with one of these copies, and in acknowledging the courtesy suggested that her mother, the Queen of England, would be delighted to have one for her private library. In fulfillment of such a hint, which was accepted as an imperial command, two sets, especially illuminated by Atalaya, were forwarded to Her Majesty, who wrote that she considered them among the finest specimens in her collection. 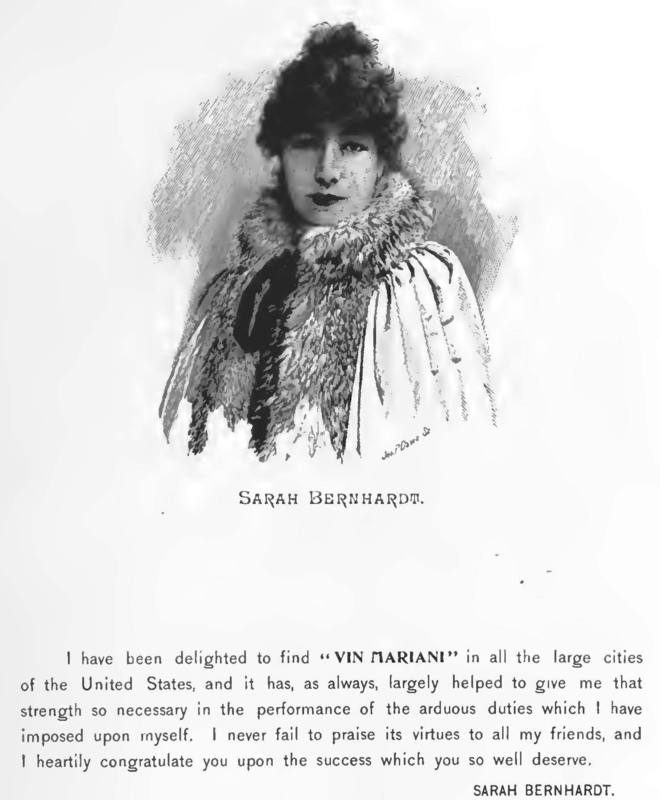 Editor’s note: If you would like to access a beautifully illustrated, downloadable PDF of this wonderful collection of portraits and praise for Mariani’s Coca Leaf & Bordeaux Wine tonic by many of the great artists, singers, actors (including Sarah Bernhardt), and other stars of the Victorian age CLICK HERE. Tags: Andes, Coca leaf, Coca Leaf tonic, Coca wine, Cocaine, cultivation, herbal, Inca, Mariani, medicine, natural healing | Permalink.